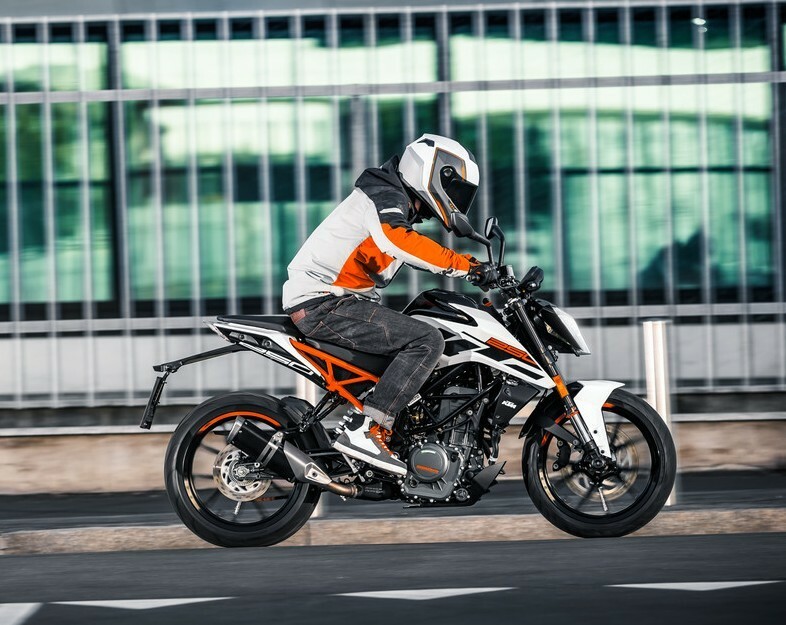 Unveiling the new KTM Duke 390 at the EICMA was a show stopper for all the motorcycling enthusiasts. Futuristic design, bifurcated headlight setup and touchscreen instrument panel was the highlight of the new 390. KTM has now taken the wraps off the 2017 KTM Duke 250 without making us wait for a long time. 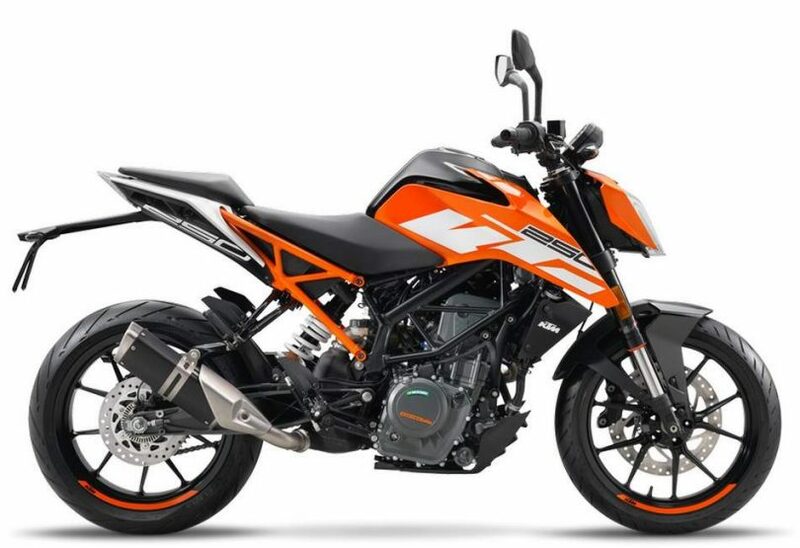 The design of the quarter litre Duke is similar to that on the KTM Duke 390 and the 125 except that the 250cc Duke does not get bifurcated headlight setup, and the LED gets a new design. KTM Duke 250 does not get technical updates such as the touchscreen instrument cluster which the new 390 receives. Duke 250 receives a side exhaust unlike the underbelly exhaust seen on the current Duke 200 and 390. Engine on the Duke 250 is a single cylinder 248.8cc engine producing 31.4 Bhp of power and 20 Nm of torque which is a good update considering the currently available Duke 200. The engine is mated to a 6-speed transmission with a slipper clutch. Dual channel BOSCH abs, WP suspension, steel trellis frame and the color combination is similar to that on the 2017 KTM Duke 390. 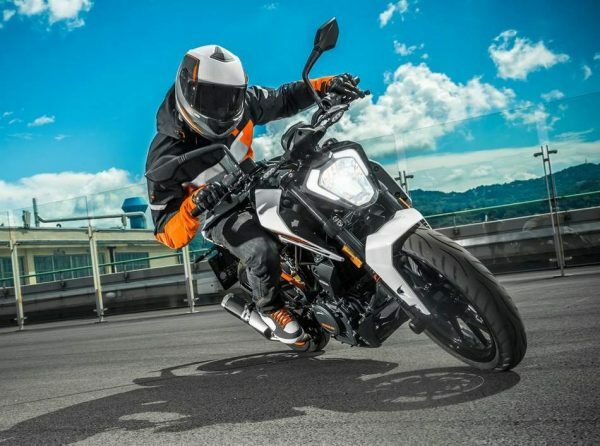 New KTM Duke 250 will be manufactured in India. We are not sure if the motorcycle will be on sale here in India. If KTM plans on selling it here, expect the Duke 250 to be priced somewhere between INR 1.8-2.0 lakh rupees.